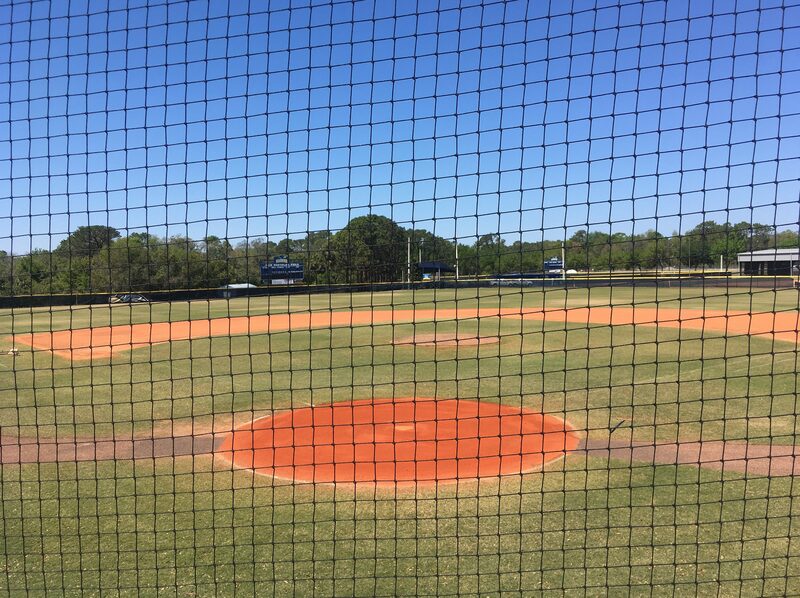 As students look forward to summer break, athletes at Seminole State are preparing to finish their seasons strong and make a run in the postseason. After finishing the season 49-11 with a conference record of 21-6, the Raiders softball team was faced with the task of a three-game series against Daytona State College to continue their season. The Raiders were 3-1 against Daytona State in the regular season. The first game was played in Daytona, where the Raiders suffered a 4-2 loss. The Falcons scored each of their runs in the bottom of fourth, all with two outs. A walk and 4 straight hits that inning would be enough to take a 1-0 lead in the series. Facing elimination, the ladies were back in Sanford with hopes of continuing their season. The Raiders had to win both games on Friday night to advance to the FCSAA State Tournament. Clutch at-bats and a great pitching performance by Kiana East allowed the Raiders to win both games on Friday night to defeat Daytona State College and earn themselves a spot in the State Tournament. Kiana East was the starting pitcher for both elimination games on Friday. The Sophomore from Viera threw 15 scoreless innings during the series, allowing only nine hits en route to winning the series for the Raiders. Seminole State will serve as host for the NJCAA Region 8 Tournament (State Playoffs). The tournament will be held at Boombah Soldiers Creek Park in Longwood. Games will begin on May 3 and conclude on May 6. With a student ID, students can purchase day passes for $5 or tournament passes for $10. The top 2 teams will earn a bid in the National Championship Tournament, which will take place in St. George, Utah, beginning on May 16. Already clinching a spot in their National Tournament is the Raiders Women’s Golf Team. A second place finish in Daytona at the Region 8 Tournament confirmed the ladies a spot in this years National Tournament. The girls finished top 3 in 9 out of the 10 tournaments they played in this season, 5 of those being victories. The Raiders will head to Mesa, Arizona for the National Tournament at LongBow Golf Course on May 14-17. They will be looking to finish one place better than last year, when they finished second at the NJCAA Championships in Duluth, Georgia. Seminole State has finished in the top 3 for 6 consecutive years. The baseball team fell short of making it past the regular season this year. Heading into their last 5 games, they needed 4 wins to clinch the fourth and final spot in the Mid-Florida Conference. After losing 2 games, the Raiders were mathematically eliminated from any form of postseason play. Despite not making the playoffs, the men were able to leave the season on a high note after beating the #1 team in the NJCAA rankings, Sante Fe College. The 5-2 victory was a solid way to finish the season on their home turf. The Raiders were also able to squeeze out a 10-8 victory against Daytona State College after trailing 6-1. Their final game against Florida State College at Jacksonville was cancelled due to rain. Seminole State finished the season with an overall record of 24-26, and a conference record of 7-16.